Well, I guess when it comes to the topic of drumming, I should be blogging about drumming up business, if anything. But I’m not really concerned about that. No, I’d like to talk about drumming up something much more important – a sense of living and a sense of spirit. Drums are the pulse, the heartbeat of life. The power of rhythm can be experienced by anyone, but most acutely when we’re making the music ourselves. As in a drum circle. I belong to such a circle, and believe me, we get all kinds of people who find a sense of community and sharing through drums. And the sound, when we find that sweet spot, is pretty amazing. Drumming can also be part of a spiritual journey. Ever see the movie, The Visitor? It’s an amazing story of redemption. A washed-up college professor has basically given up on life but is reborn through his inadvertent discovery of new friends and their life of drumming. 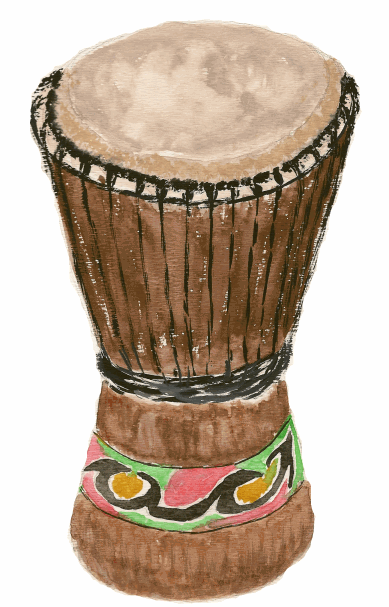 The drum ultimately gives him energy and awakens his need to be involved in this world. And so it can for you. So next time you’re walking by a group of street musicians with drums, stop and have a listen, maybe have a go at it. Give yourself some time to feel the music. You’ll feel what I’m talking about. This entry was posted in Art and music on February 7, 2014 by david. “I do science”. That’s a phrase which sums up my job as a research biologist. Scientists often use this phrase to define their role in the creation of new knowledge and the pursuit of a better understanding of our universe. I too, thrill in the moment of discovery. It’s a nice feeling when experiments actually work and your hypothesis stands the test. I also (as all scientists) endure the times when the experiments just won’t work and literally months are spent just spinning wheels. (I won’t even get into the frustrations of managing as opposed to doing science). But we survive because of our passion. So what does any of this have to do with Sunfleck Software? A few years ago I began to learn to write software programs. As a matter of fact, it came about because of one of my projects in biology. I began to really enjoy this new activity, and before I knew it, I was hooked and moon-lighting for Sunfleck Software as a developer. It’s been said that the act of writing software is more of an art than a science. I guess I would agree. Even though the code itself must obey extremely rigid rules in order to run, the process of putting that code together in such a way that something useful emerges is a highly creative process. And then there is the challenge of creating a program which is aesthetically pleasing and easy to use. This requires at least some ability and creativity in graphical design. But wait… I would argue that doing science is also an act of creation. Many don’t understand that it takes a unique kind of thinking to put together experiments which unambiguously answer a question or test a hypothesis. The term “elegant” has sometimes been used to describe such experiments. The thing is, creation and imagination in scientific research produces intangibles such as data, information and knowledge. True, widgets often eventually arise from this research, but that is the thrust of technology, not science. Creativity in code-writing produces something quite different… a product. A tangible piece of software which can be used to educate, organize, entertain… virtually anything the user wants from it. For me, this is a new kind of endeavor, and I look forward to doing a lot more of it.